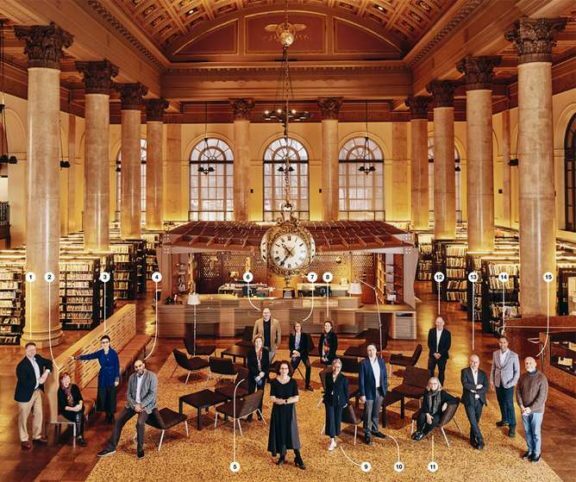 RISD’s president Rosanne Somerson is photographed above with her team at the Fleet Library for Monocle. Read on HERE. 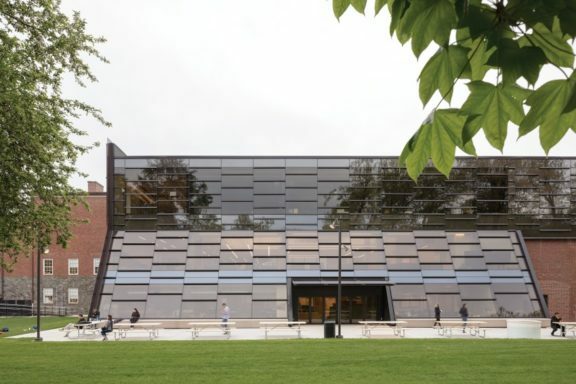 For an in-depth look at the Fleet Library project check HERE. 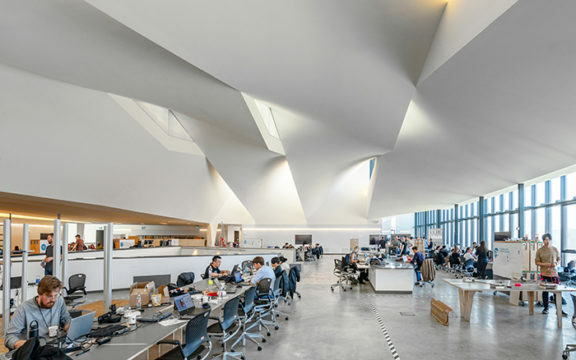 On this Earth Day 2019, the AIA has announced the recipients of the 2019 AIA COTE Top 10 Awards which includes the Daniels Building. 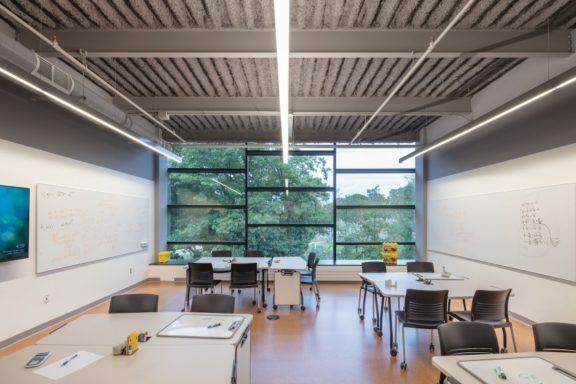 The COTE Top Ten Awards is the industry’s best-known award program for sustainable design excellence. 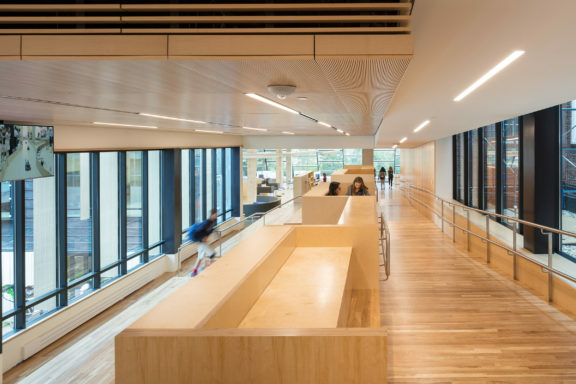 Each year, ten innovative projects are recognized for their integration of design excellence with environmental performance. 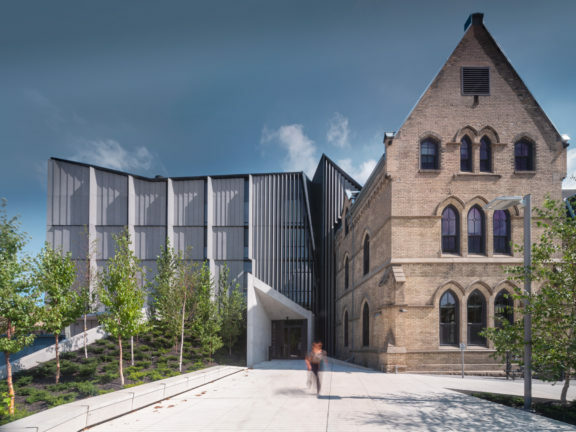 The Daniels Building at the University of Toronto embodies a holistic approach to urban design and sustainability. 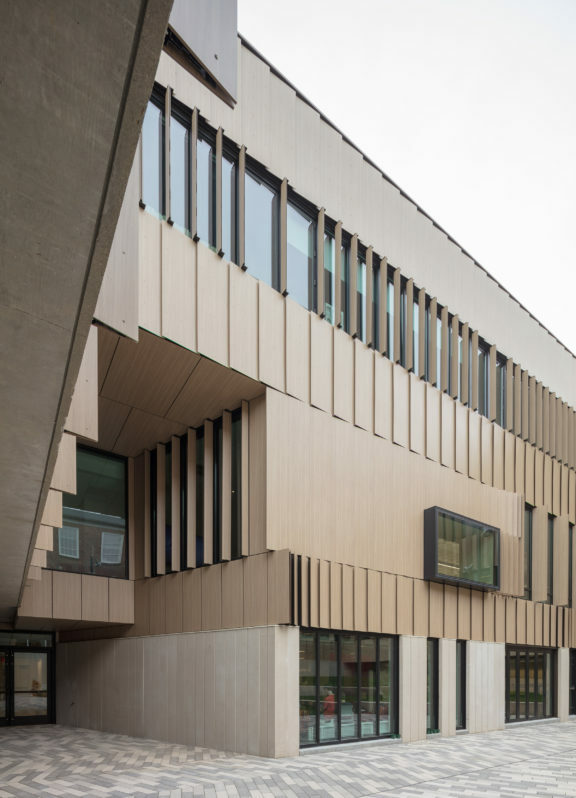 As the new home for the John H. Daniels Faculty of Architecture, Landscape, and Design, its purpose is to engage students and the broader community in dialogue with the built environment. 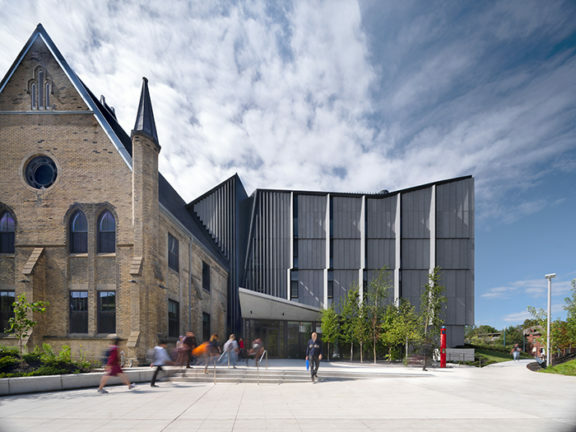 At the center of one of Toronto’s few circular parcels, the project anchors the southwest corner of the University and opens the circle to the public after years of inaccessibility. 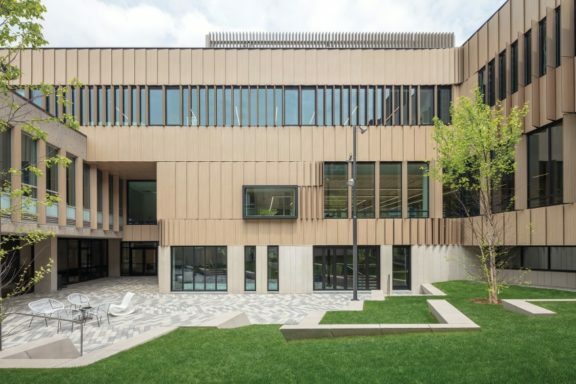 It restores the historic building while adding a new addition with integrated stormwater management, green roof, voided-slab floors, and ample daylight. 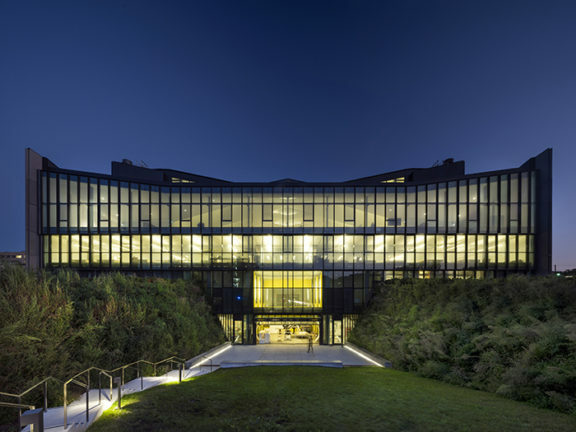 Read more on the sustainable and pedagogical aspects of the Daniels Building including the integration of community voices and needs, the ecological curriculum, water systems, energy and resources usage, and economy of means HERE. As of April 2nd, 2019 the MIT Site 4 project was officially the tallest building in Cambridge! 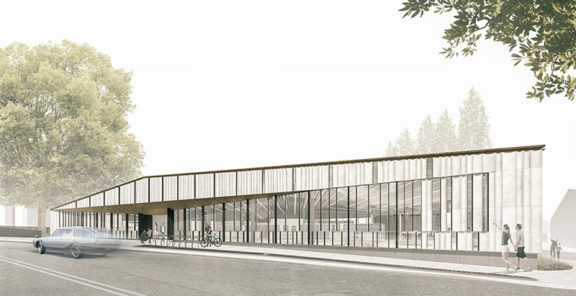 Right now the building is at 299′, but will reach 330′ by the end of constrction. 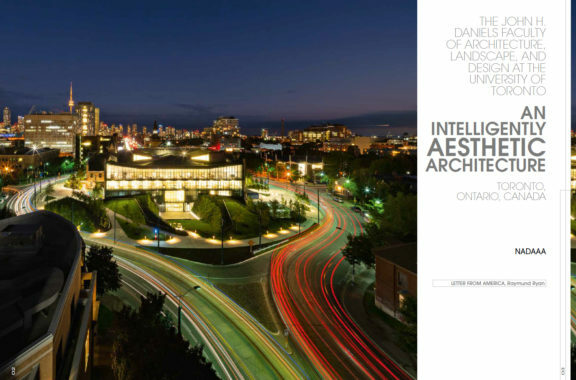 AIA National Design Excellence Award goes to Daniels! 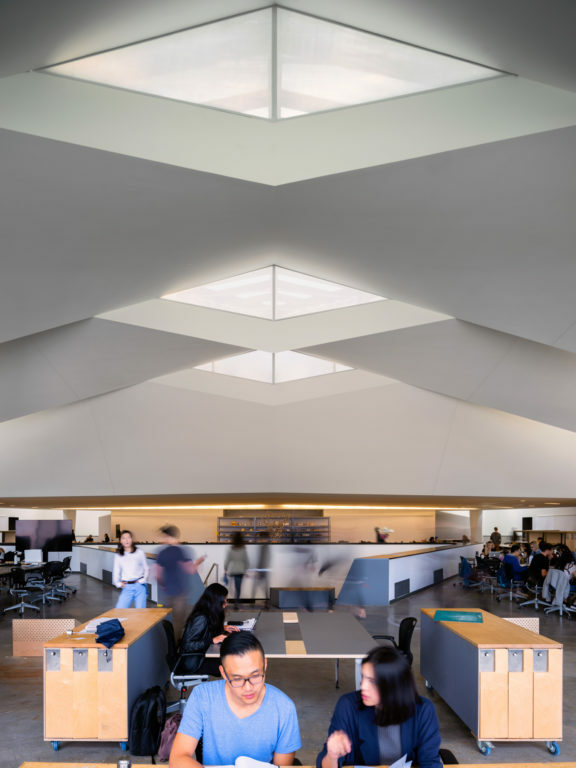 The Daniels Building is a recipient of the 2019 Education Facility Design Award for Design Excellence, sponsored by the American Institute of Architects’ Committee on Architecture for Education. View all 2019 recipients HERE. 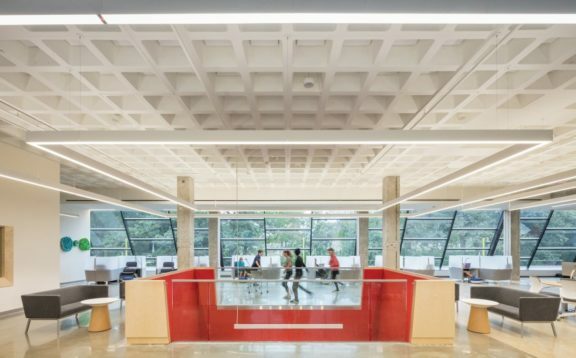 Comments Off on AIA National Design Excellence Award goes to Daniels! 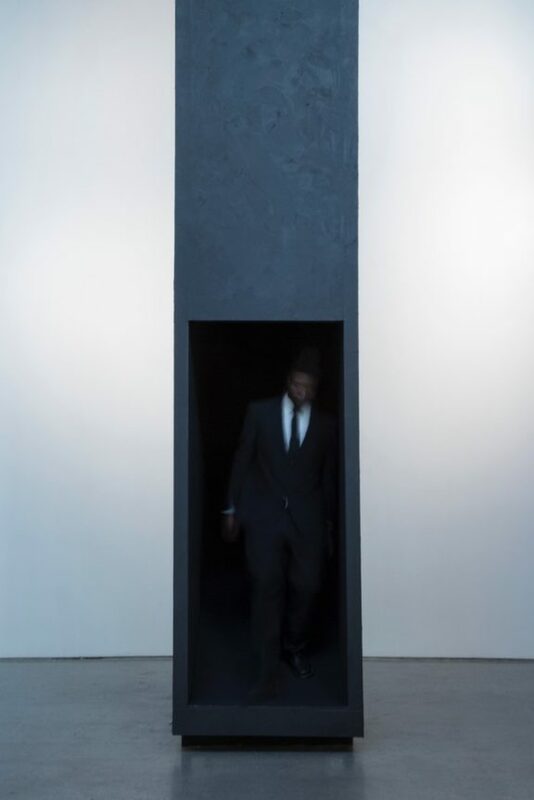 Through April 25th artist Torkwase Dyson will present a solo exhibition entitled I Can Drink the Distance at the The Cooper Union’s Gallery at 41 Cooper Square. 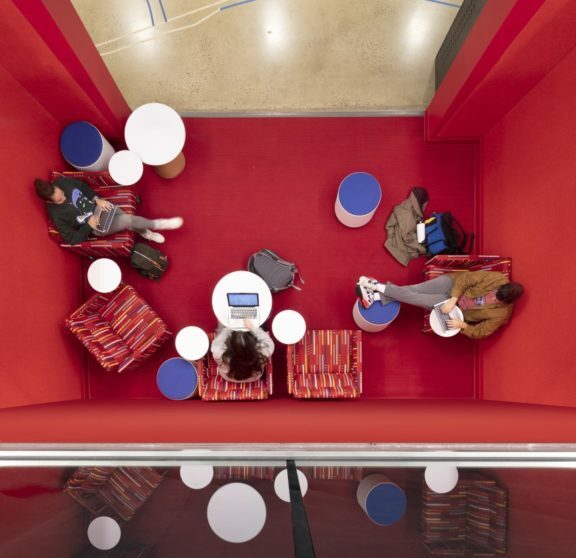 Dyson is the Spring 2019 Robert Gwathmey Chair in Architecture and Art at The Cooper Union. 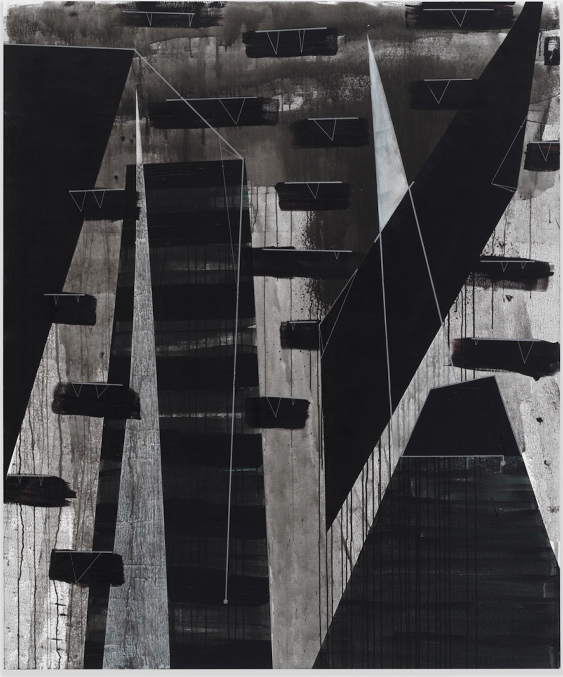 The exhibition “considers how the body unifies, balances, and arranges itself to move through built environments. Attuned to the shape patterns of industry—from the history of global trade to contemporary colonization and extraction—Dyson thinks through the various ways humans oppose the violence of these synergistic systems with methods of improvisation and spatial planning.” More on the exhibition HERE. 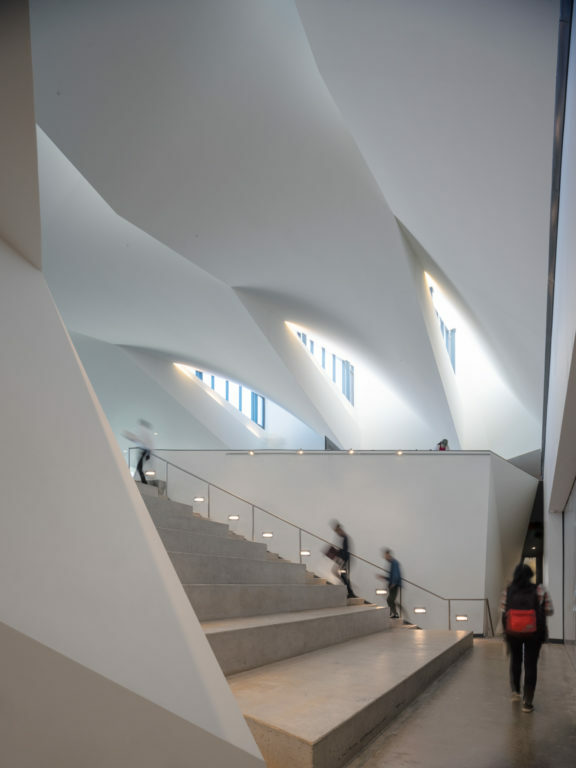 In conjunction with the exhibition, Dyson will give a lecture on Tuesday, April 2, in the Cooper Union’s Great Hall, more info HERE. 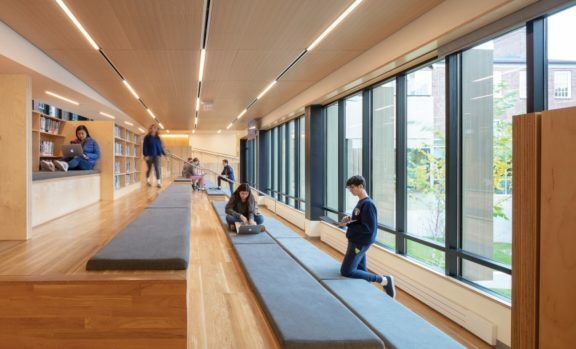 ARCHITECT’s Katie Gerfen interviewed Katie and Nader for this piece on NADAAA’s design of “a nontraditional library” aka the Research + Design Center at Beaver Country Day School. 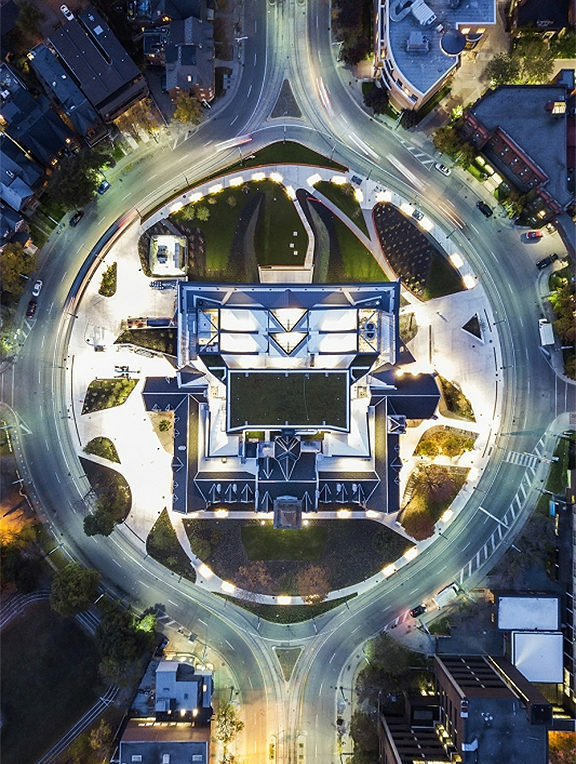 See the full project feature HERE.